According to a recent local consumer review survey, 84% of people will trust an online review as much as a recommendation from a friend. This can be a good or bad thing for your business, considering not all reviews that you may get are positive. However, putting the democracy of the internet (a person’s ability to say whatever they want) and reviews aside, there are some ways that you can encourage positive reviews so that you can cater to the 74% of consumers who say that they trust your business more if your reviews are good. 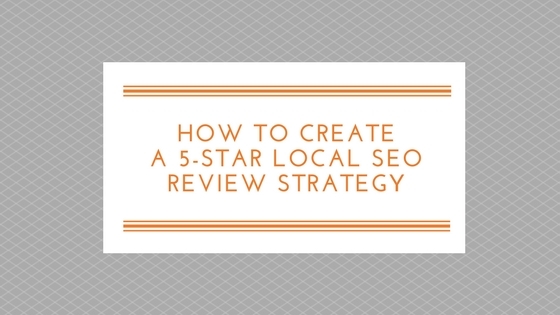 In addition to the obvious psychological effect negative or positive reviews have on consumers, there is also another reason you should implement a local SEO review strategy: SEO. In Moz’s most recent Local Search Ranking Factors, review signals such as quantity, velocity, and diversity account for 13% of the local pack (Google’s local search results with the map). Today, I’m going to go over an awesome 5-star review strategy that will help you encourage more trust in your brand, more website visits, and ultimately, more business. I’ll take a look at the most important review site (for most businesses) Google, as well as some other popular one’s like Yelp or Angie’s List, and how to strategize which review sites you should funnel your clients/customers to. Before diving into this winning strategy for pushing your customers towards a 5-star review, it’s important to recognize that good SEO can’t fix a bad business. In other words, if there are real problems with your products, your customer service, your food, or the way you handle conflict with customers, you can’t expect to have an average of 5-star reviews. 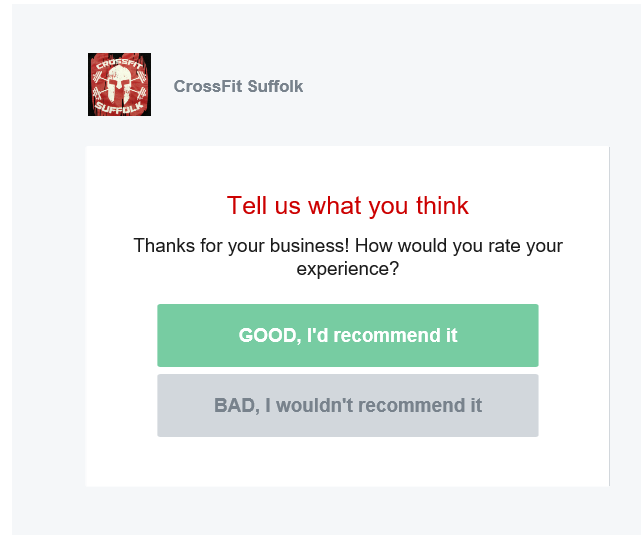 Bad reviews can actually be a positive thing for your company if you listen to what problems your customers have with your business, then fix them. For example, we took on a local gym that had a terrible cancellation policy, a parking lot that did not accommodate all the members, and a leaky roof that would drip in the middle of the weight room. Naturally, people would take to Google and Yelp and leave poor reviews. The silver lining though is they knew what to do to correct the reviews. However, do not fear implementing a review strategy even if you have a lot of moody or finicky customers. I’ll teach you how to push your loyal customers to leave 5-star reviews and divert your unhappy customers towards options that allow you to provide them with your choice of customer service options. One of the best ways to get in touch with your customers is via email. If you are a smaller, more boutique type of business like a law firm or doctor’s office where you and your staff meet your clients or customers, this works particularly well. You probably have access to the email addresses of your contacts and can place them in a list that you’ll learn how to use to generate positive reviews. More on that below. What if My Business Doesn’t Collect Emails? If you don’t have your customers’ emails or don’t collect them easily, now is the time to start. This isn’t a post about list building, but if that is something you are interested in, check out this post so you can gather lots of emails. Sure, not all the emails will be from people who are previous customers, but chances are the people who are your clients will also be opting in to get emails from you because if they are doing business with you, they probably like you. If they like you, they’ll probably leave a positive review. When emailing your customers to solicit 5-star reviews I find it works best to segment them by the ones that you are sure will give you 5-star reviews. You can, of course, just blanket email every customer you have an email for, but sometimes it’s nice to test the waters before sending out this magic email. Thanks for being a customer of [example company]. Please let us know how your experience with us was. The next part is deciding where the button click takes your customer. If they clicked the 5-star button, you’ll want to take them towards a page on your site that has links to the review sites you want to push. 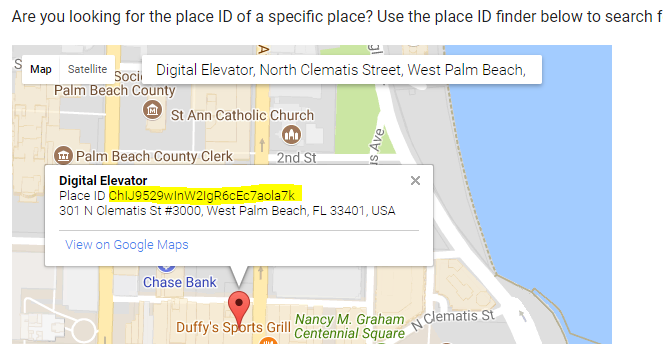 You can also direct them directly to your Google review page if that is what you want to focus on. More on that below. We are sorry that our products/service/company did not live up to your expectations. Here at [example company], we strive to deliver the best customer service and provide the best products and services in the industry. This method will divert the upset, disappointed or unhappy customer to your customer support staff so that you can listen to them and provide a remedy to the situation. It also allows you to divert their negative review away from the review sites and towards your company so you can give them individual attention. Hopefully, this happens less than 5-star reviews, but none-the-less helps show customers that you are interested in delivering exceptional customer service. If the customer did have a great experience, you now have the option to direct them to a page on your site with links to review sites of your choosing. Let’s learn how to select the appropriate review sites to direct people to on your site if they chose the favorable option before we get into how to send people to your Google review page. Which Local Review Sites to I Target? The page you create that helps guide people down your review path should be separate from the reviews or testimonials page you have on your site and, ideally, hidden from navigation. This is recommended because if you linked to your review sites straight from your review page, you would not be able to filter out potentially bad reviews. The above is an example of one of our clients with a great review presence. We created a reviews page on their site specifically for searches like this (Google Search Console proves there are searches like this occurring frequently every month). 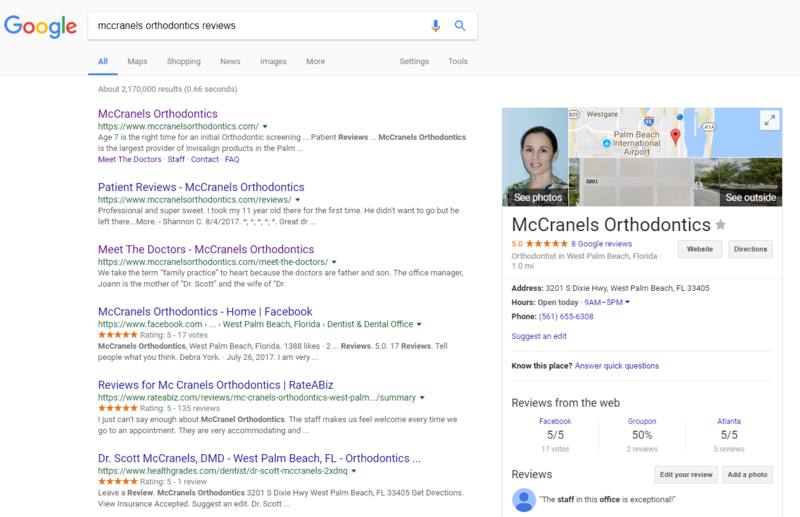 If you have a decent SEO campaign in place, this page will usually rank high in the results like it does for McCranels Orthodontics. If you are looking at 5-star reviews across the board like this office, your major concern would to be keep up the good work and generate more positive reviews, especially on Google. If you were looking at unfavorable review averages, you’d want to target those sites first on your review links page. Another recommendation for determining which review sites to push to is performing a search for “[business industry, city].” This will let you see which of your competitors rank best and if a site like Yelp has a roundup type post that ranks well and that you’d want to be on. Now, most of your review sites can be linked to directly which makes sending clients there a breeze. So, if you wanted to send people to Yelp you’d simply grab a Yelp image and link it to your businesses Yelp page. Angie’s List of Facebook? Same thing. Google reviews, however, are not so simple to get people to. This is particularly important because this is often the first place people will see your company reviews. So, here’s how to make it easier to get 5-star Google reviews. Providing your customers with a direct link to leave a Google review is not as straightforward as you may like. The process is still quite simple though, and is outlined by Google here as well as below. Step five: Get 5-star reviews! Why am I still not Getting Reviews? Ok, let’s say you’ve rolled out the above review strategy or know that you have customers leaving you reviews but still don’t see anything posted in Google or Yelp. Keep in mind that Google, and especially Yelp, have strict review policies in place that are there to prevent gaming of the system. If you’re thinking that you can just have your 15 employees create Google and Yelp accounts and leave 15 5-star reviews you may be flagged for trying to game the system. These processes are in place to prevent businesses from unscrupulously generating fake 5-star reviews for themselves, but also from doing it to harm their competitors. So, if you are implementing a review strategy and are still not seeing the reviews posted it could mean that Google, Yelp, or the other review platforms are simply questioning the legitimacy of the review. Why would they do this? This last reason, the one about the reviewer not being particularly active on the platform, may be the cause for a lot of your unposted reviews for both Yelp and Google. There’s no real way around this, just continue to implement your review strategy and eventually real reviews will stick. What Review Strategy Works for You? Do these tips sound like they might work? Any other questions about reviews for your local business? 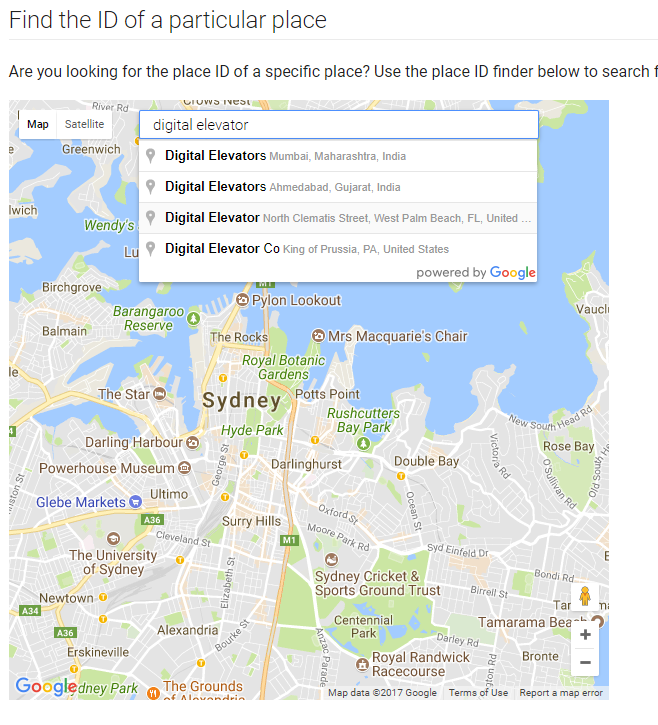 Still need local SEO help? We offer amazing local SEO services.